WATROUS, Sask. - There's a storm a-brewin' at a luxury resort north of Regina where health inspectors ordered a mineral spa closed this weekend over health and safety concerns. Dwight Hayter, CEO of the Manitou Springs Hotel and Mineral Spa, said Saturday he's got "24 layoffs and a hotel full of unhappy guests" on his hands. "We don't think this was necessary," he said, acknowledging there are problems with the spa but insisting he wasn't given enough time to fix them. "To have another month, month-and-a-half extension on such an important issue as this, we didn't think was a stretch." But deputy medical health officer John Opondo said the spa has been on probation for more than two years. "We have been working with them progressively, we've had provincial partners involved in a peer review process to really try and bring them into compliance," said Opondo. "There's a risk of disease transmission, there's a risk of injury, there's a real risk of death." The resort's pool licence was revoked after inspectors found the water filtration system wasn't working properly. 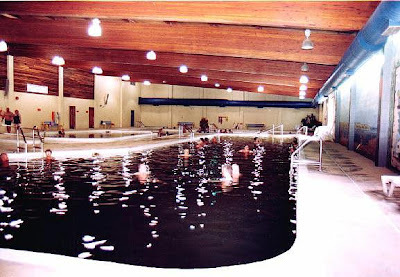 The issue lies with the pool's 23 skimmers, which circulate the water through a central filter. Engineers say that because of the high amount of minerals in the water, 19 of them are no longer working. On its website, hotel management noted that the resort itself remains open — only the pool is closed. "Manitou Springs agrees that most of our skimmers are plugged with a very hard encrustation, resulting from 23 years of mineral salt build-up, on the inside of the skimmer piping," said the notice. However, hotel officials said they are actually running the water through the filters nearly four times more than the regulations require and are draining off water every night and topping up the pool with fresh lake water. "Our management team would like to express that we are doing everything within our power to try to resolve the situation so we can open up our spa once again," said the notice. "We will be attempting to clear the block skimmers very soon with a special liquid and we are optimistic with the results." Hotel officials stressed there's no record of anyone becoming ill from the golden waters of the mineral spa — "at least not within the last 10 years for sure." "We ultimately view this as an unfair attack on what we feel is a world-class resort and spa." nice post with beautiful photographs. thanks for sharing.